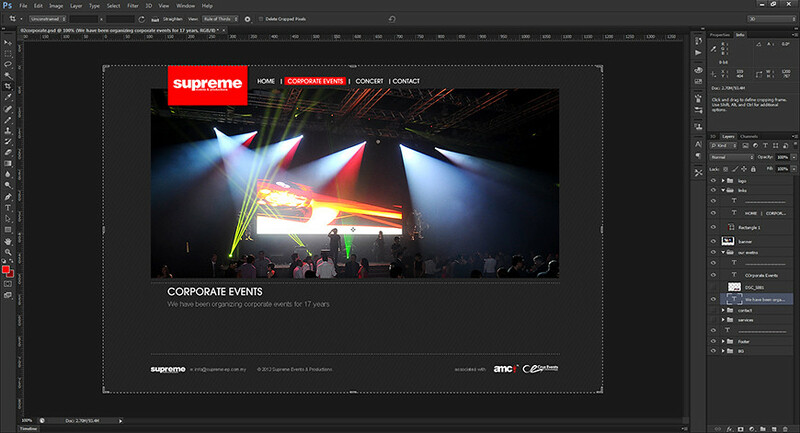 See I am currently working on a web for Supreme Events and this might be a cool experience for those who didn't know. I'm talking about the crop tool. Since we are web designers, we often need to have a very long canvas depending on the content that you are designing. So I made a very long canvas. Good thing about the crop tool is, it has memory of what you have cropped out. So whenever your activate the crop tool, you can bring back whatever that you have cropped out before. 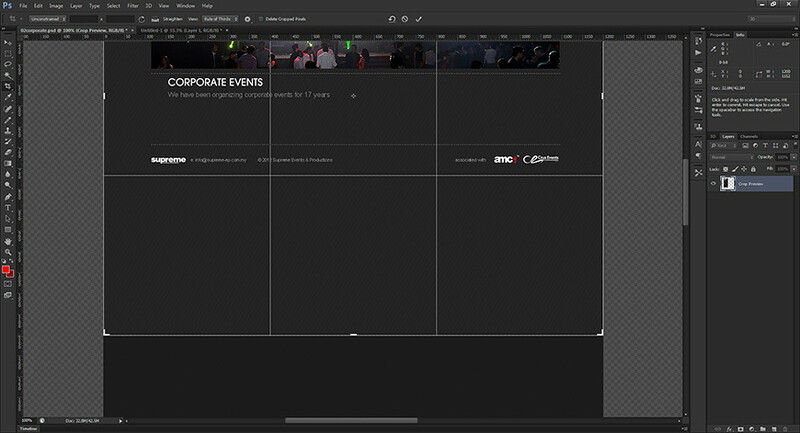 Wahlaaa, I can now re-adjust my canvas layout with the crop tool. Amazing isn't it? Go try out yourself or check out http://www.facebook.com/AdobeSEA for more latest informations.